This study sought to perform a Functional Behavioral Assessment (FBA) and develop a data-based behavior intervention plan (BIP) in order to address a student’s maladaptive behaviors as exhibited in the regular education classroom setting. 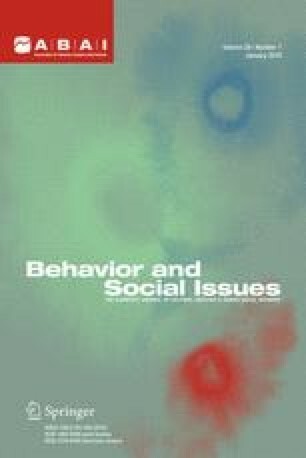 Of particular interest in this study was the finding that the FBA failed consistently to identify many of the environmental variables that interacted with the student’s likelihood of demonstrating a wide range of severe problem behaviors. Nevertheless, interventions based on social skills and self-control strategies were sufficient to reduce the frequency of most problem behaviors and concurrently improve the student’s level of academic performance. During a reversal-of-treatment, the student showed elevated levels of problem behavior; however, with the reinstatement of the treatment protocol, the student’s behavior improved substantially. The role of private events and rule-governed behavior is discussed within the context of conducting FBAs and developing data-based treatment protocols. The authors are grateful to Don Whaley who inspired a generation of behavior analysts. He is alive in the behavior of his students.